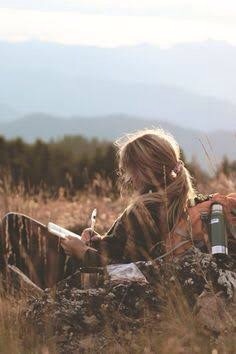 ‘To write, is like going within, to uncover a special part of you, to share not only with the world, but with yourself. A piece of you, you didn’t know existed, until you searched and once discovered never leaves your heart.’ J Calvert. Talking of writing, Jen. I have some recommendations for you. But to begin with, I want you to understand this: I adore your metaphorical language. What you write is, in a way, the progeny of these two “parents”: aphorisms and love poems. But, dear Jen, IF you are aspiring to be commercially successful, then you should also try to find more new topics to write about. At the moment it’s a bit too much of the same, too often. You tend to create too many inspirational poems, too many romantic love poems, too many poems for the soul of your readers. And so on. Think of this metaphor, Jen. There are some artists who cling to just one motif/theme, let’s say painting sunsets – and nothing but sunsets. From the beginning of their artistic career till they die. That’s one way to use one’s talent. Please notice I don’t say this is the right or wrong. way to use the talent. Of course sunsets can be depicted in a variety of ways. You absolutely don’t have to repeat yourself. You can, if you like, paint the sunsets either with or without clouds in the sky. Or near water. Or above a forest with all its trees. Or why not a sunset in October or March – they are certainly different from sunsets in the middle of winter or summer. And so on. What I’m trying to tell you, Jen, is that a publishing company 99 times out of a hundred prefers poets that show a greater variety in their poetry (and topics) than you normally do. The more topics you address in your poems, the more your potential target group is growing in numbers. And the more books you can probably sell. In short: Publishers want you to be remunerative and profitable. You already know how to write good poetry, Jen. But you should also learn how to increase the number of topics to use in your poetry. At least if your goal is to be commercially successful in your writings. Jen, I’m so delighted to read in your comment above that you didn’t misinterpreted my “criticism”. Anyhow, don’t stop being a “hopeless romantic”! You really know how to touch and move a reader’s heart just by using words and lovable metaphors. You are a very gifted young woman! But IF it is a commercial breakthrough you’re aiming at, then you maybe should try (also) writing poems from many more angle/perspectives than you do today. How about death and funerals (losing a beloved person, or pet)? Or poems intended for marriage ceremonies? Christmas poems? Or the like. Don’t be afraid of experimenting, for instance you could also be using various writing styles, or using the same number of syllables in each written line, which will make your poems easier to sing. Good song writers are not easily found. Of course you are not obliged to publish poems you are discontent with. Practice makes perfect. And always remember, dear Jen: You are unusually talented! Your verbal intelligence is very high.